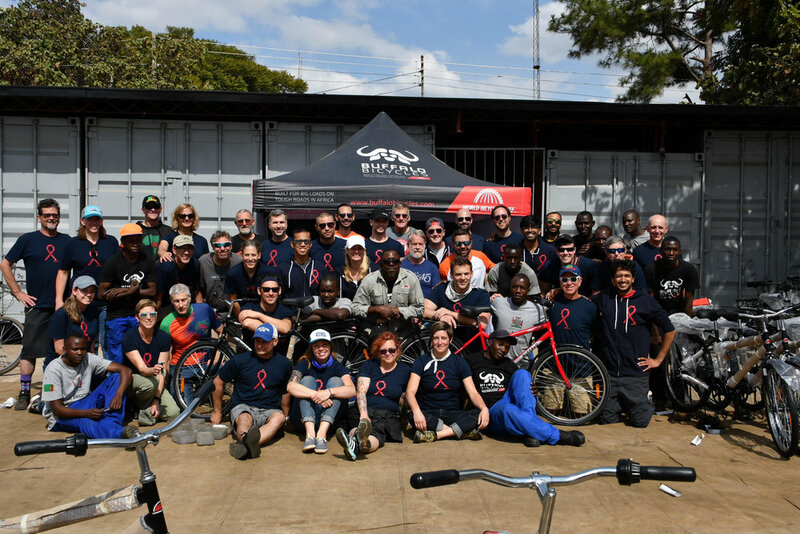 2018 Bike Zambia riders at the World Bicycle Relief assembly plant in Lusaka, building Buffalo Bikes. World Bicycle Relief (WBR) mobilizes people through The Power of Bicycles by helping people conquer the challenge of distance to access education, healthcare, goods and services more easily. With a bicycle, school attendance is increased by 28% and healthcare providers are able to see 45% more patients. Bike Zambia riders have donated hundreds of bicycles to students and healthcare providers, making a real impact in people’s daily lives. Since 2012, Bike Zambia has supported the Bicycles for Educational Empowerment Program and STEPS OVC HIV/AIDS caregivers program by purchasing Buffalo Bicycles and donating them to local programs that help girls access education and school school and women access trade or business to support their families. Grassroot Soccer Zambia is an organization that uses the power of soccer to educate, inspire, and mobilize communities to stop the spread of HIV/AIDS. 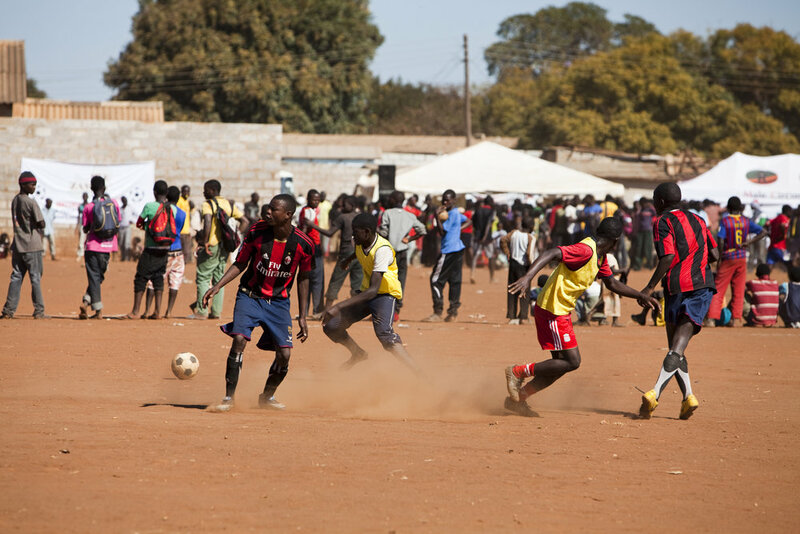 From holding soccer tournaments to provide education and HIV testing, to organizing after-school programs to teach life skills and health education, Grassroot Soccer is making positive changes in Zambian youths’ lives. To achieve their mission, the organization continuously improves their innovative HIV prevention and life-skills curriculum, shares their program and concept effectively, and utilizes the popularity of soccer to increase their impact. Zambia Health Education and Communication Trust (ZHECT) fights HIV/AIDS and other infectious disease through a multifaceted approach, providing access to health services, education, and also working on community approaches through advocacy and capacity building. The mission of ZHECT is to increase in-depth knowledge and translation of HIV/AIDS, expand access to health services, advance quality of service and maximize resources and capacity within ZHECT for service delivery.